What started out as a small neighborhood bakery specializing in cheesecake has blossomed into a community-gathering destination for seekers of homemade comfort food—for breakfast, lunch, and dinner. 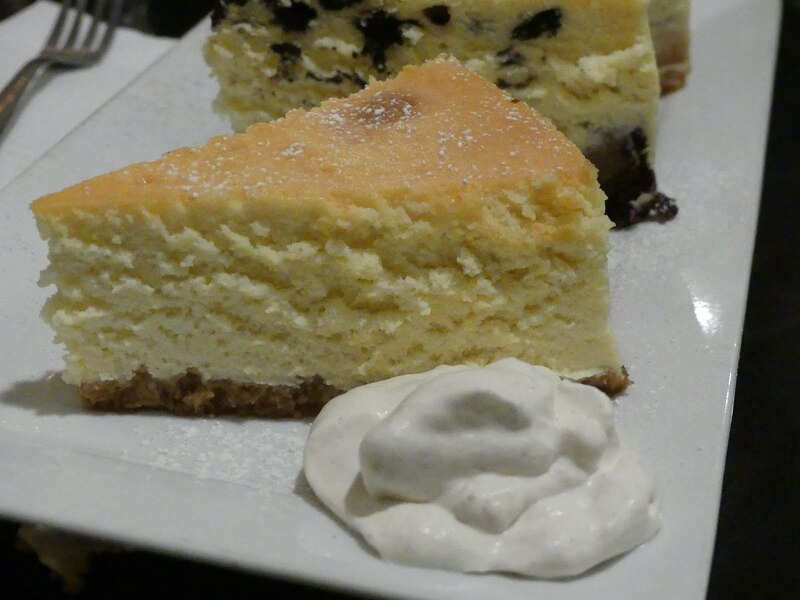 The team behind Anthony’s Cheesecake, in Bloomfield, NJ, believes in utilizing local suppliers, changing the menu weekly, and making customers feel right at home. A couple of weeks ago, this writer was invited to a small media dinner (my meal was complimentary) to sample a wide range of menu items. Owners Anthony Lauro and Philip Byrne warmly greeted us, and encouraged us to order off the menu so we could get a good feel for their culinary chops. 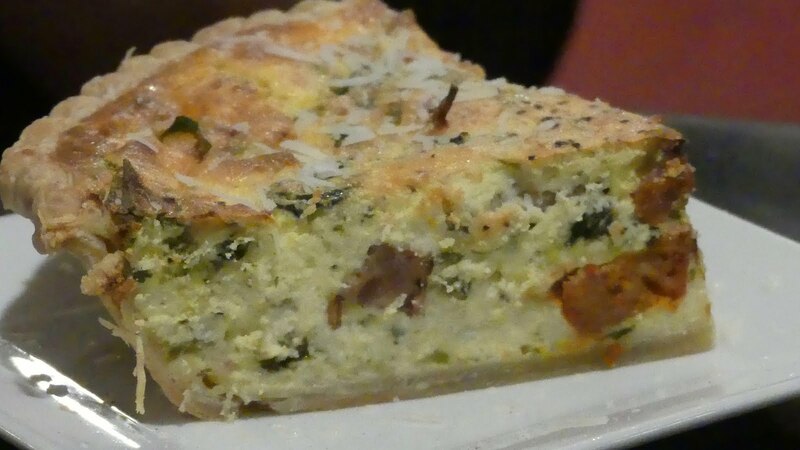 We jumped right in with a delicious broccoli rabe, ricotta, and sausage pie (quiche, Italian style—shown at top). A flaky pie crust (a given at a bakery!) stuffed high with hot and sweet sausage, ricotta and mozzarella, and of course, sautéed broccoli rabe—the table clamored to scoop up every morsel. 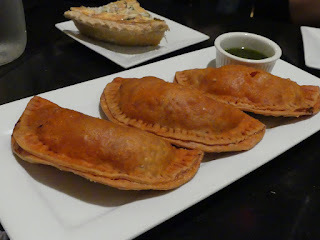 Along with the pie, we got the empanadas platter topped with a cilantro pesto. With fragrant ground beef inside another flaky crust, you could not go wrong with either of these appetizers. Not realizing the size of entrees at Anthony’s, we each ordered a separate dinner. As a group, we were overwhelmed by the generous portions. I ordered the flounder oreganata, baked with lemon, fresh herbs, and white wine. 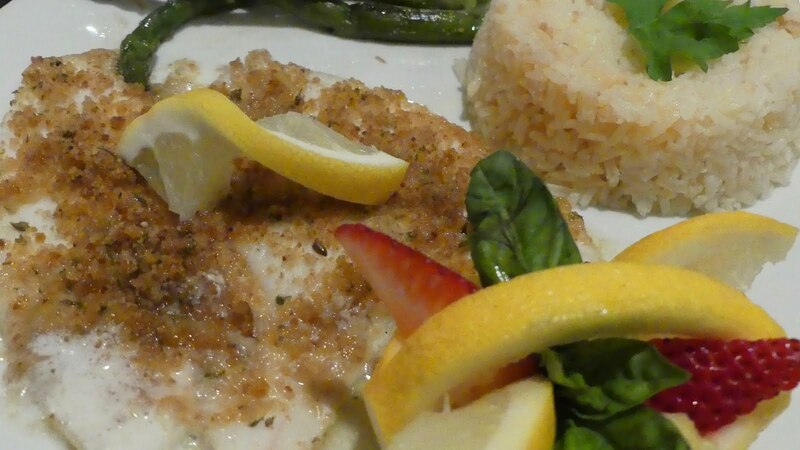 The fish was delicate and flavorful. With Thanksgiving on the brain, another guest could not resist ordering the carved turkey over a savory waffle (made from stuffing!). Yes—the genius hack here is that they actually make a waffle out of their homemade stuffing acting as a mini Thanksgiving on a plate. The turkey is topped with buttermilk mashed potatoes, and gravy, and served with cranberry relish. If you’re craving Thanksgiving flavors now, head to Anthony’s. One of my other dining companions raved about the buttermilk chicken and waffles, a Southern classic that’s popping up all over. Anthony’s version includes crisp bacon, melted cheese, roasted pears, and a drizzle of maple syrup. Yet another group favorite was rigatoni Calabrese with crisp prosciutto and burrata. 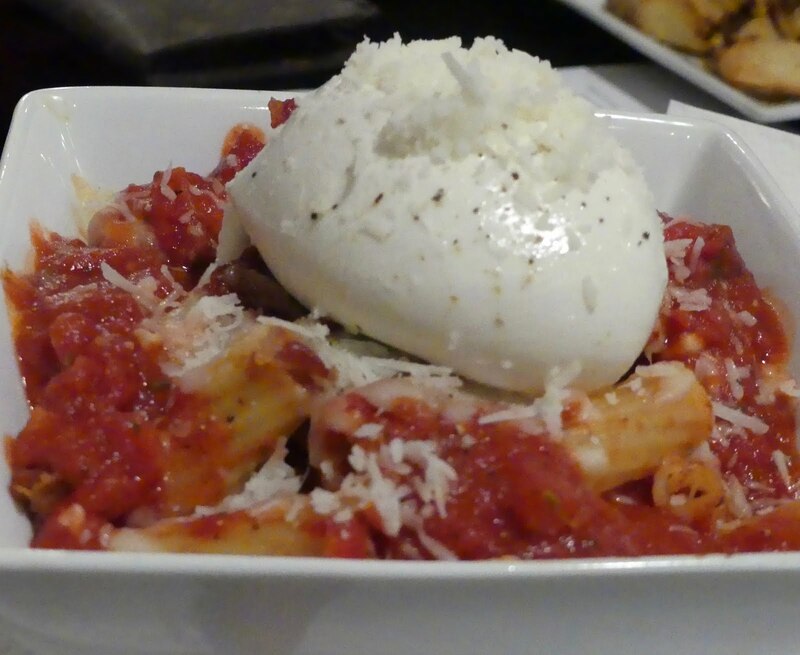 They had me at “crisp prosciutto and burrata,” but the addition of a sliced egg and melted mozzarella sealed the deal. And then came dessert! Of course, at a restaurant that got its start as a cheesecake bakery, you would expect great cheesecake (the ricotta cheesecake won my heart). What I didn’t expect was a fabulous flan, a delectable coconut layer cake, and several other non-cheesecake desserts. Anthony and Philip are home-taught cooks who love taking their favorite childhood recipes and turning them into new restaurant classics. Anthony opened a small diner (The Lunch Box) in Bloomfield in 1996, and it is still in operation today. Running two operations keeps them incredibly busy but they love what they do—from welcoming new friends to their cafe, to creating new cheesecake flavors, to enthusiastically participating in fundraisers for local schools. 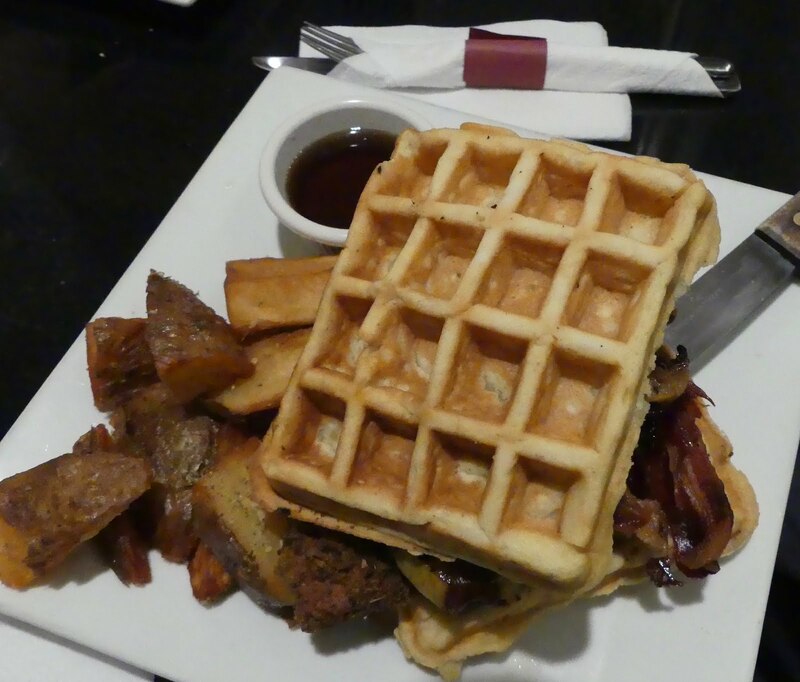 Stop by Anthony’s for breakfast, brunch, lunch or a full-on dinner. And don’t forget to order dessert! Thursday: 11 a.m. to 9 p.m.
Friday and Saturday: 9 a.m. to 9 p.m.
Open Thanksgiving Day until 12 noon. All content, including photographs, are the property of The Cook's Tour. No reproduction without express permission. Thank you. I fell in love with Paris on my first visit about 20 years ago. 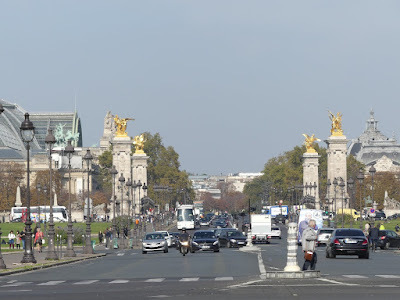 Having just returned from my second visit, I can absolutely say “I’m still in love!” Yes, it’s crowded with tourists; and yes, the streets are clogged with traffic. 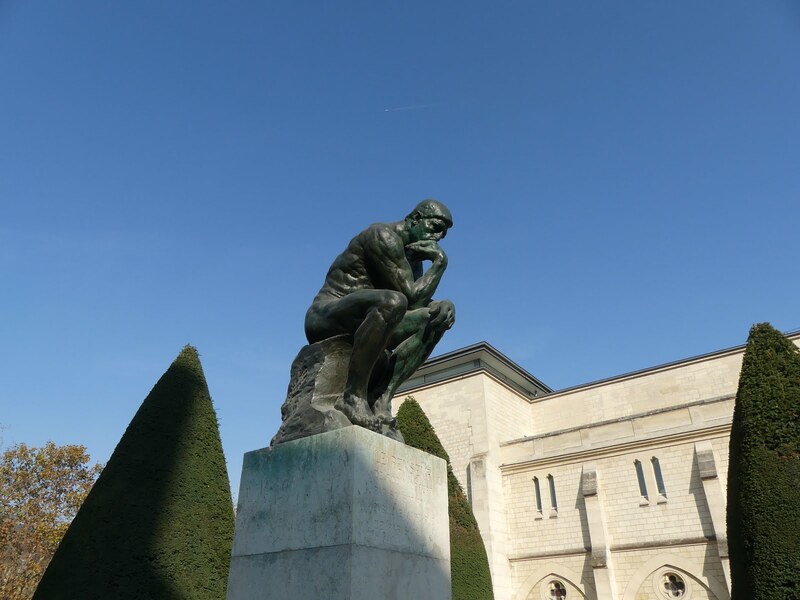 BUT, the museums, the architecture, the parks, the FOOD, the WINE! Heck, even the bridges are gorgeous — adorned with fabulous statues (see photo at end of story). 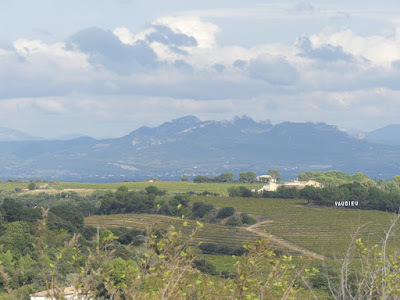 We started our two week journey in the south of France, also known as Provence. We signed up to judge the first Kansas City BBQ Society-sanctioned stand alone contest in France, the Bataille Sur la Sorgue (Battle on the River). The competition was held in beautiful L’Isle-Sur-la-Sorgue, a small village famous for it’s bi-annual antiques market. We rented an AirBnB in the center of town, within walking distance of wine shops, boulangeries, and other assorted shops. I loved going downstairs every morning to buy a fabulous Brioche Sucre (for moi) and a savory tart (for Monsieur B) from a lovely bakery a few doors from our apartment. 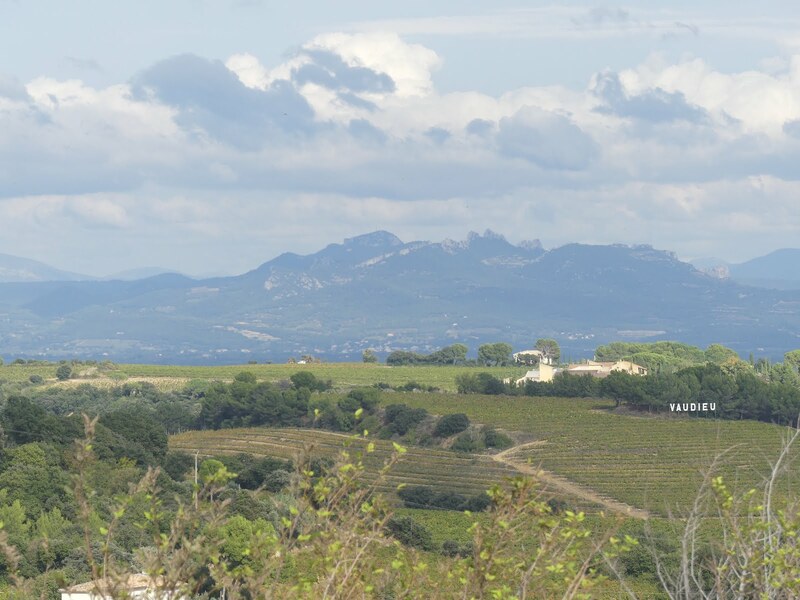 One day, we took a full-day tour of the Rhone wine region, stopping at 3-4 wineries to sample their wares. Hiring a driver is definitely the way to go so you can just enjoy the gorgeous vistas and not worry about too much wine intake! We judged the BBQ competition on the last day in L’Isle. The weather was not ideal for outdoor activities, as the mistral (wind) was quite strong, but the cook teams did their best. The organizers signed 27 teams for their first event, and by all measures, it was a success with plans already in the works for 2019. 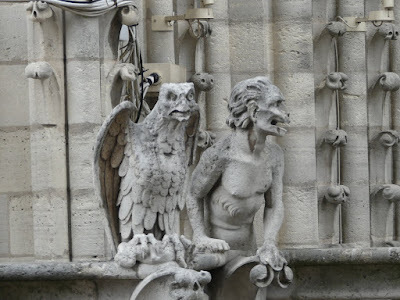 The next day we drove to Avignon for two nights in the medieval city on the Rhone River. My main interest in visiting Avignon was to see the Papal Palace, the seat of western Christianity during the 14th century. The huge complex (once a fortress) is one of the most important buildings in Europe. It was a cold and rainy day when we visited, which only made the palace seem all the more gothic. Visitors can opt for a sort of virtual reality tour by using a “histopad,” the palace’s version of an iPad which provides a 3-D look inside the palace as it was when the Popes ruled from there. It was really a very unique and interesting way to bring history to life. 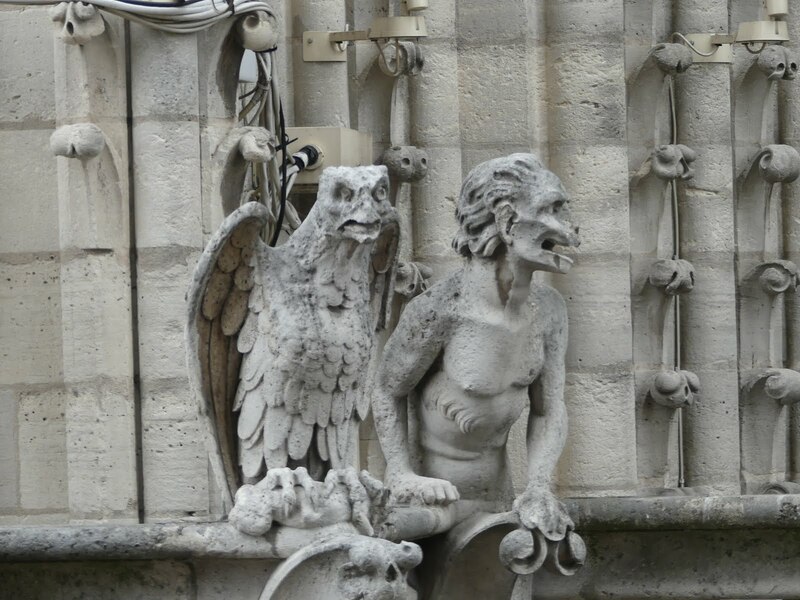 Other than the Palace des Papes, I’m afraid there is not much else to see or do in Avignon. However, there is an outstanding restaurant which I would make a special trip for if I were in the area. 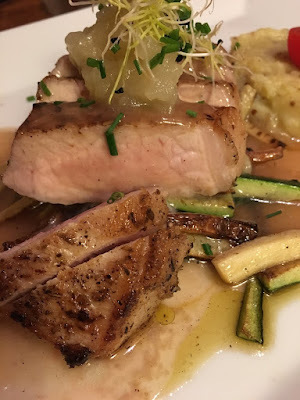 Restaurant Fou de FaFa, tucked away on a side street, was the dining highlight of our trip. With only about 10 tables, soft lighting, quiet jazz in the background, and gracious service provided by Antonia (co-owner with her chef-husband, Russell), you feel as though you are having dinner in their home. And the outstanding food just puts the entire evening over the top. 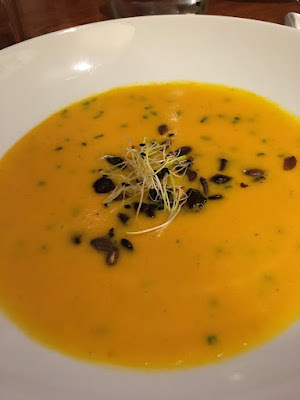 I began with a velvety Pumpkin Butternut Squash Soup, followed by a Filet of Iberian Pork with a Cider and Apple Jus, accompanied by Stir-fried Vegetables, and Mashed Potatoes. The pork was incredibly juicy, tender, and flavorful - probably the best pork I’ve ever had. My dining companions were equally happy with their selections, including a terrific Chateauneuf-de-Pape. We all shared the luscious Dark Chocolate and Vanilla Cake for dessert. You felt so welcome in the beautiful space Antonia and Russell have created that you never wanted to leave. But, alas, we had to because the next day we were off to Paris! The high speed train whisked us to Paris in just under three hours and we made our way to our B&B for the next 5 days. On the recommendation of friends, we chose to stay in the Marais district rather than in more touristy areas, and it was a wise choice. Although not walking distance to many of the major Paris sights, the abundance of great neighborhood restaurants and shops made it worth the extra Uber or Metro rides. After getting settled in and a short nap, it was time for dinner. Our B&B host recommended a small bistro around the corner: L’Aller Retour, known for great steaks and a solid wine list. Our host was right. 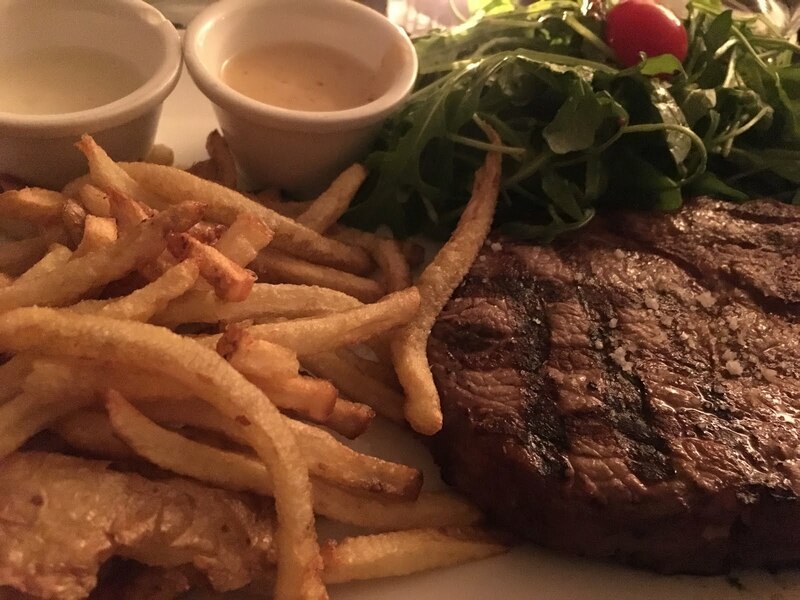 Our first Paris meal of Steak Frites was perfect. 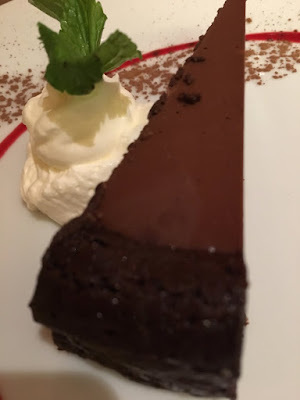 In fact, we so enjoyed our dinner here that we chose it for our farewell-to-Paris meal, too! The next day we were off for a small group tour of Versailles. It was a picture-perfect day to visit the palace. Our small group tour turned out to be very small - just the two of us and our guide. We booked through localers.com and our guide, Abby, was terrific. She picked us up at our B&B and whisked us via the Metro to arrive at Versailles about an hour later. Built in 1623 as a hunting lodge by Louis XIII, it is quite magnificent. 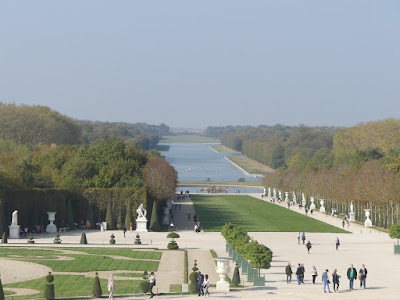 We only had about three hours onsite and, while we certainly saw the highlights, you could easily spend an entire day or two here, especially if you’d like to take advantage of the gardens, restaurants, the rowboats, and visiting Marie Antoinette’s private apartments. It’s a spectacular property and an incredible window into how the French aristocracy of that era lived. 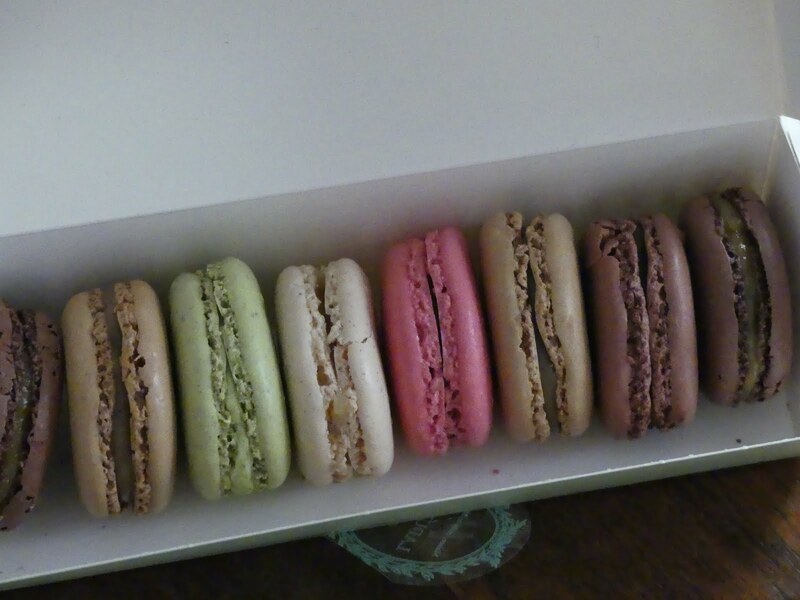 As an aside, there is an outpost of the famed Laduree macaron patisserie at the palace, and I could not pass that up. 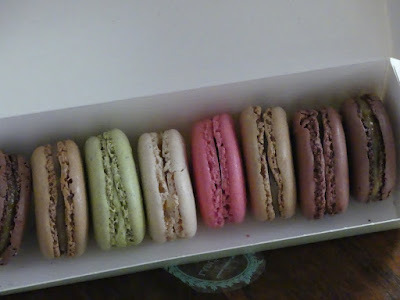 I bought a little pack of eight assorted macarons and judiciously ate them throughout our week. They were absolute heaven. 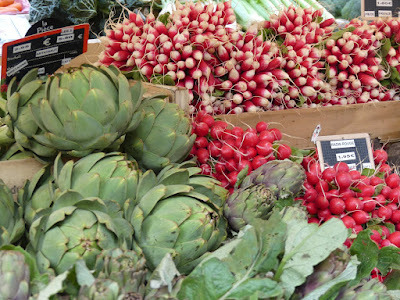 On Wednesday and Sunday mornings, there is a huge open air market near the Bastille. Given our interest in food, our B&B host recommended it. Wow! The vast varieties of gorgeous produce, beautiful fresh fish, charcuterie, breads, and pastries. Oh my! We were in our glory. If we lived in Paris, we would shop there every week. Paris is full of incredible art - in museums, such as the Musee Rodin (my favorite), the Musee d’Orsay (chock full of the great Impressionist paintings), and of course, the Louvre. But the city itself is spectacular. Magnificent sculptures anchor their bridges, fabulous parks and gardens are everywhere. On Sunday afternoon, after visiting the Musee d’Orsay, we wandered through the Tuileries and found ourselves at the outdoor cafe. We managed to score a table and ordered a wonderful little lunch of Ceasar salad, bread, and wine (what more do you need?). I was in awe of the many French families, couples, friends, just whiling away a gorgeous Sunday afternoon in the park (and maybe just a bit jealous - the French know how to live!). No trip to Paris would be complete with visiting Tour d’Eiffel. We thought it would be nice to see the city at sunset from high up and it did not disappoint. Be forewarned, even with timed entry tickets, it takes quite awhile to actually get into the tower. They take security very seriously and everyone entering must go through wanding, bag checks, etc. Once you pass through the security check, they herd you into tiny elevators to go to the top. We bought “priority summit” tickets so we could have a drink at the advertised champagne bar and toast the City of Light, but we were disappointed to discover that the “bar” is really nothing more than a service window where you would order a champagne and then try to drink it as the crowds jostle you. We passed. 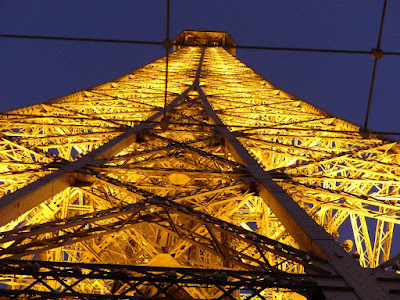 But the tower is an engineering marvel and the views are magnificent so you should definitely go! 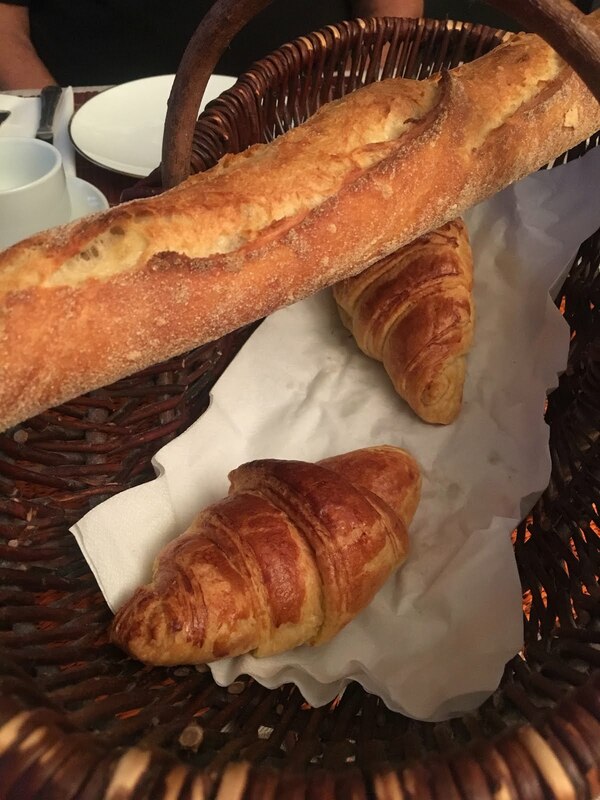 You may be surprised to read that two of our favorite meals in Paris were not French. Two couples from Australia who were also staying at our B&B recommended Suan Thai (best Thai food I’ve ever had), and then we just happened upon a terrific Italian bistro (La Paulette - no web site), where we shared a divine charcuterie plate and a luxurious porcini risotto. And now for something completely different: my husband really wanted to visit the Moulin Rouge to see where the artist, Henri de Toulouse- Lautrec, sat and chronicled life in the late 1800s. We ordered tickets for the dinner show one evening during our stay. I wasn’t sure what to expect. My knowledge of the cabaret was limited to the famous “can-can” dance I’ve seen in old movies and TV shows. We treated ourselves to VIP tickets and after an Uber ride to the Montmartre district, we were escorted to our balcony table overlooking the stage. I must say, the dinner and service were very good! The show was non-stop dancing and singing for 90 minutes. Some of the numbers were a little hokey, but the can-can dance lived up to the hype. It was a very enjoyable evening, but it’s one of those “once-in-a-lifetime” things (no need to go again). It was a fantastic visit to a truly beautiful country. So much more to see and do there, that I’m already thinking about future trips (Normandy? Alsace?). I can’t believe that Thanksgiving is only a few days away, heralding in the start of the holiday season. Wishing you and yours a lovely Thanksgiving! 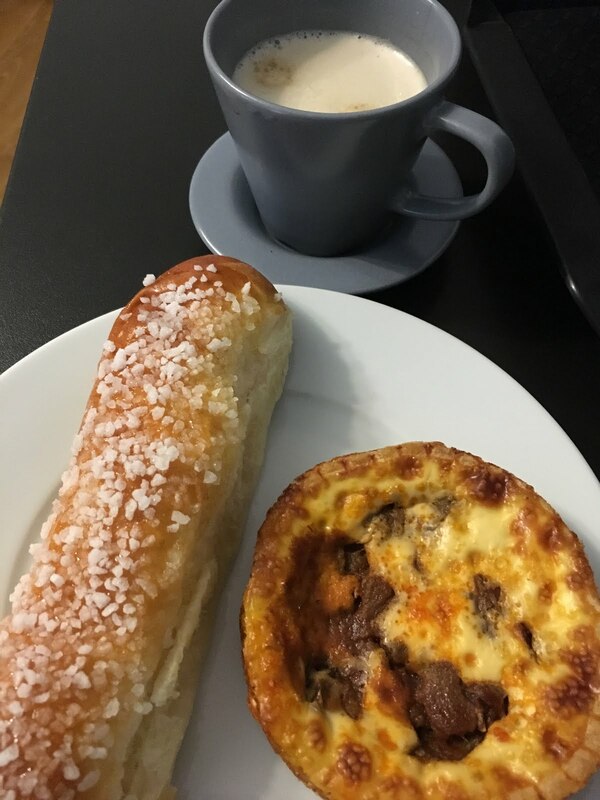 Eat well, stay warm, be happy! All content and photos are property of The Cook's Tour. No reproduction of any kind without express permission. Copyright 2008 - 2019 The Cook's Tour. All Rights Reserved. All content, including photos, are owned by this author and may not be reproduced in any way without express authorization by the author/owner. The Cook's Tour by www.thecookstour.blogspot.com is licensed under a Creative Commons Attribution-Noncommercial 3.0 United States License.